A brief review of the major propeller safety events in 2018 including safety meetings, accidents, legal cases, deaths of those involved in the movement, statistics, patents, articles published, public service announcements, anniversaries, regulations, and other related events. This year may be remembered in the future as the year of Ryan’s Law. In June 2018, Suffolk County, New York passed a law requiring the use of propeller guards on boats used for youth instruction. In early 2019, a similar law was been proposed in the New York State legislature. 2018 saw the return of Mercury to Lake X in February and the passing of Charlie Strang in March. Dan Maxim, long time Chairman of NBSAC, master of countless skills, and a true gentleman passed in May. While not receiving press as a boat propeller accident, by far the highest profile boat accident of the year was the 19 July 2018 Duck Boat accident at Branson Missouri in which 17 people died. 29 January 2018 we published a post on a patent application filed earlier by Brunswick for a neural network Virtual Propeller Guard. That patent had yet to issue by the end of 2018. 16 February 2018 Mercury Marine announced a technology partnership with Fell Marine, manufacturer of the MOB+ wireless lanyard. 19 February 2018 Mercury Marine announced their return to Lake X. 6 March 2018 Russel Hawkins received a U.S. Patent for the MagBlade safety propeller. 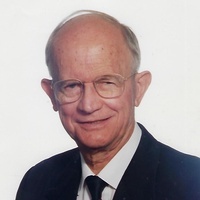 13 March 2018 was a sad day for the industry with the passing of Charlie Strang, well known engineer at Mercury in the early days, and later at OMC. Years later it came became known he was the inventor of the stern drive. 1 April 2018 a 91 foot chartered yacht, Miami Vice, operating by a young man not holding the proper licenses fatally struck Menendez 25 with its propeller. This accident probably received more press than any other U.S. propeller accident in 2019. Much of the press focused on the operator having some drug issues and not having the proper licenses, and the ensuing legal matters. 10 April 2018 we attended the annual ABYC Marine Law Symposium in Charleston, South Carolina. Among the presentations was one titled, The Case for Propeller Guards. May 2018 Randy Howell, well known professional bass fisherman released a video explaining why he runs The Leash, a tether to prevent the outboard motor from striking a submerged object and flipping into the boat. 3 May 2018 Rex Chambers, another well known professional bass fisherman, released a video about The Leash. Since then, several pro anglers have come forward speaking out for The Leash. 8-10 May 2018 NBSAC 99 was held in Portland Oregon. 18 May 2018 Dan Maxim, Chairman of NBSAC passed away from his battle with cancer. I had the opportunity to visit with Mr. Maxim a few times. It was quickly obvious he was a gentleman and a great man. We and the industry will miss him. 19 June 2018 Suffolk County, New York voted unanimously to require propeller guards on boats used for youth instruction. The law, known as Ryan’s Law, came one year after the death of Ryan Weiss at Centerport Yacht Club. June 2018 USCG released their annual Recreational Boating Statistics for 2017. Thirty-one boat propeller fatalities meeting the criteria for being in the 2017 BARD database were reported. 8 June 2018 FLIR filed a US Patent Application for a Submerged Object Avoidance System for recreational boats. 19 June 2018 Henry Owens lost both legs to a propeller while transferring from a parasail boat to a bananna boat at Myrtle Beach. 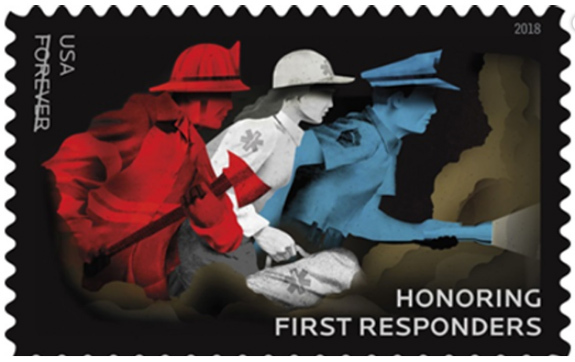 July 2018 U.S. Post Office announced the First Responder postage stamps to be released later in 2018. 19 July 2018 the Duck Boat accident near Branson Missouri claimed 17 lives. 25 July 2018 we issued a major update of our Preventing Outboard Motors from Flipping into Boats paper. 18 October 2018 a New York Times article, “This is the Most Lucrative Moment in History to Catch Bass”, covered the world of professional bass fishing and the current fracture between BASS and MLF, two of the major tournament organizations. 18-20 October 2018 NBSAC 100 was held at Cape May. A moment of silence was held for Chairman Dan Maxim who passed in May 2018. 22 November 2018 a Brunswick Patent application to prevent groundings was published. 30 November 2018 the Barhanovich case settled.